Sunshine Smith was a personal trainer for 17 years. She liked the work, but it took months and years for her clients to see results. It’s why she was drawn to the immediacy of massage therapy several years ago. 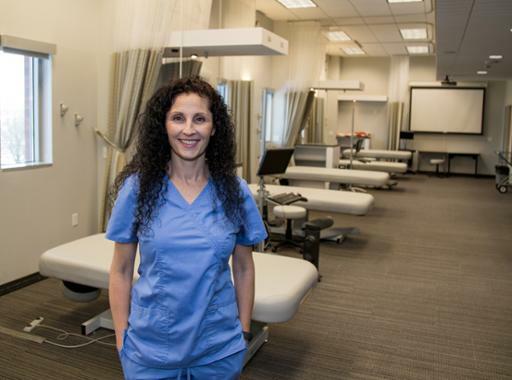 When Smith began researching massage therapy degree programs, she quickly zeroed in on Cuyahoga Community College. Smith will graduate with an Associate of Applied Science degree in Massage Therapy this month. She has already passed the Ohio massage therapy licensure exam and secured a job at a chiropractor’s office in Northfield. Cuyahoga Community College will celebrate the academic achievements of nearly 2,000 graduates on Dec. 18 at Fall Commencement. Check our News and Events page in the days leading up to the ceremony as we highlight members of the Class of 2018.